Thanks to Father Aidan Kimel I came to know this remarkable film recently and I have watched it twice in recent weeks. Now I want everyone I know to see it too. Father Kimel has written an excellent review and includes a link to the film and I have reblogged both here. I particularly liked the phrase in his review that begins, “To his surprise, irritation and bewilderment, God makes him…” I will let you read the rest of the sentence and the rest of the review. That phrase made me ponder the question, What has God made me do over the years that I have not welcomed and yet has proved to be essential in revealing my True Self, that which God loves? I do hope that some of you will watch The Island and that you will let me know your response. I know that it will change me on repeated viewings over the years. 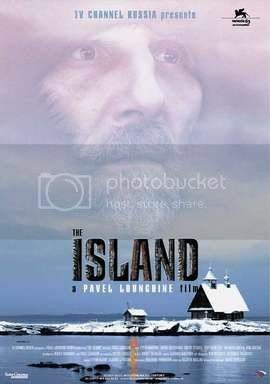 A few weeks ago Fr Ioan Badilita, Romanian priest and Dogmatic professor at the Theological Seminary in Iasi, encouraged me to watch The Island. I immediately ordered it from Amazon. This past Friday evening my wife and I sat down and watched it. I loved it … no … that is not the right word. I was moved and inspired by it. It touched my soul. I know I will watch it again. It is a movie that I need to watch once a year. Lent would be the right time. It really is a movie that is food for the soul. Thank you for sharing your enthusiasm for it, Sister. I agree. I have watched it twice and know I will watch it again.